Category5 TV is a family-safe video broadcast network generating and providing quality original content. We have been broadcasting since 2007. Our shows are available on Roku devices and TV's, on YouTube, and we have a powerful network of web sites dedicated to each show's content. The Show Show is a production of the Category5 TV Network. Robbie is the Host and Producer of The Show Show. In 1993, Robbie began working with the technologies of the time to create broadcast systems for the web. Back then, nothing really existed. 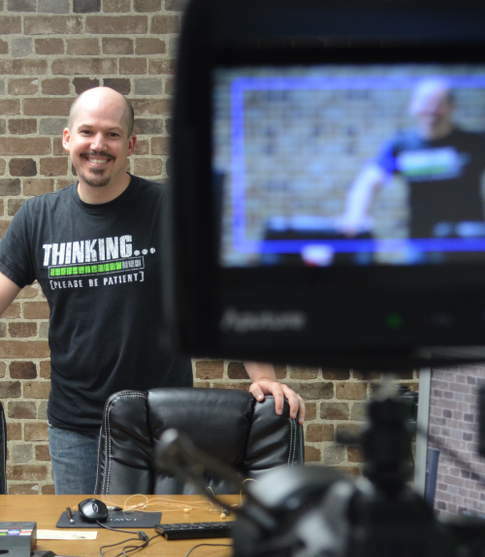 When RealPlayer launched a couple years later, he was an early adopter, and began creating interactive online video for local businesses who wanted to have an innovative edge. Here we are now, technology has changed entirely, but Robbie is still doing webcasting. His network, The Category5 TV Network, has been broadcasting quality programming on the web since 2007, and this network continues to grow. Robbie is happily married with 3 children. His career is in PHP programming. Sasha is the Executive Producer of The Show Show. 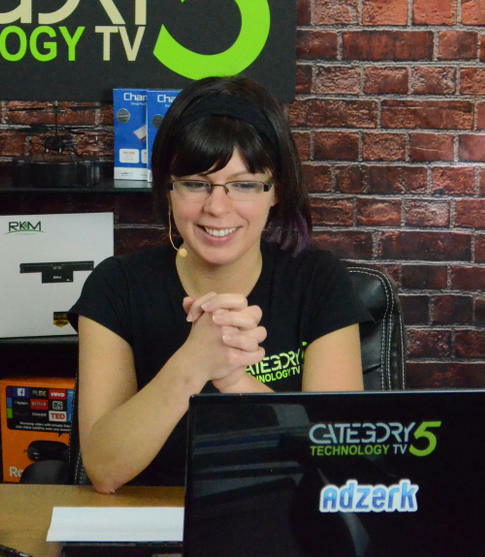 For the past seven years, Sasha Dirmeitis has worked on the set of Category5 Technology TV. Her roles have expanded in that time, particularly with the launch of her own Newroom segment, as well as Try It. Buy It. The Show Show is Sasha's first Executive Producer gig. As EP, Sasha works as quality control, tasked with reviewing the continuity and overall production of each episode before it makes it to air. A lover of great conversation and witty banter, Sasha has found her calling as a bartender just down the street from Studio D... so if you are in the neighbourhood, stop in for a pound of wings and a frosty beverage. When she is not out biking, hiking, rollerblading or swimming with her boyfriend Dave, Sasha can be found at home either reading a great novel or playing on her PlayStation. Category5 TV is a family-safe video broadcast network generating and providing quality original content. The Show Show is a production of the Category5 TV Network, and is licensed under Creative Commons Attribution 2.5 Canada. Like what we do? Please support us with a Donation of any amount.